It’s not every day that Volvo introduces a new SUV. Including this XC90, there have been only three such days. Volvo began selling the first-generation XC90 in late 2002. Seven years later, Volvo released a competitor for the BMW X3, the first and only XC60 thus far. On sale since late last spring, the second-generation Volvo XC90 was long awaited, not only by Volvo fans and owners of the first hugely successful XC90, but also by industry observers who wondered whether Volvo was increasingly a Chinese-owned Swedish automaker with global reach, but little influence in North America. As it turns out, the second-generation XC90’s launch has gone very well indeed. Global Volvo sales climbed to record highs in 2015. Volvo rightly earned plaudits for yet again modernizing traditional Volvo style cues. Now responsible for generating much of Volvo’s North American demand, the pressure’s on the XC90. Can it handle the workload? The second-generation XC90 is Volvo’s flagship model, a three-row utility vehicle priced in Canada from $63,215. All XC90s on sale in Canada are fitted with all-wheel-drive. The entry-level T6 is equipped with a supercharged and turbocharged 2.0L four-cylinder producing 316 horsepower. Want more power? The T8 Twin Engine is a plug-in hybrid XC90 with 400 horsepower, but Volvo Canada wants an extra $12,850 for that XC90. Our test specimen was the priciest T6 AWD Inscription; $6150 more than the basic T6; $1600 more than the T6 AWD R-Design. 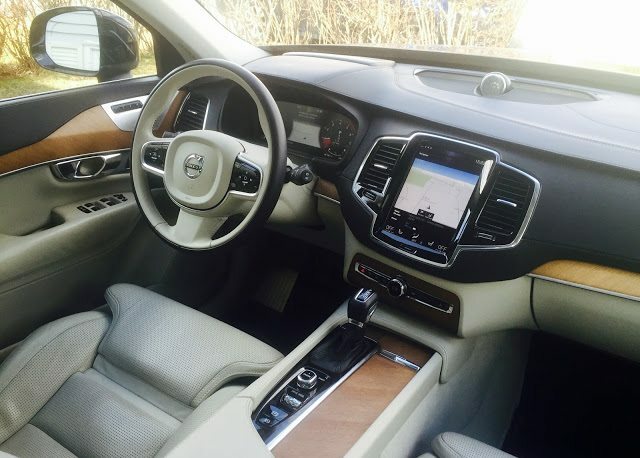 To the $68,715 2016 Volvo XC90 T6 AWD Inscription price tag, Volvo added an $1800 Vision Package (auto dimming mirrors all around, blind spot monitoring and cross traffic alert, park assist), a $1350 Climate Package II (heated second row outboard seats, three-stage heated steering wheel, heated washer nozzles), plus $800 Onyx Black paint, $975 21-inch alloy wheels, and a stonking $3250 Bowers & Wilkins audio system. The final sticker reads $76,890. Like IKEA’s Karlstad sofa, the XC90 is not terribly large but it is sufficiently spacious. 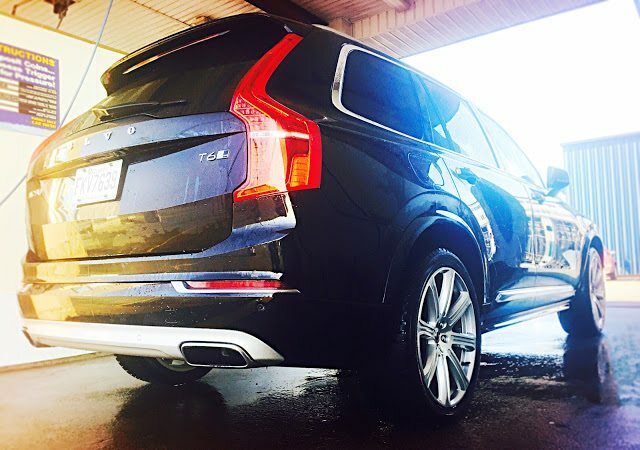 The 2016 XC90 is nine inches shorter than a GMC Yukon, bumper to bumper, but the XC90 is a full foot longer than Volvo’s smaller utility vehicle, the XC60. From the standpoint of an owner parking downtown, it’s worth noting that the XC90 is also more than an inch narrower than that Yukon, but nearly five inches wider than the XC60. In terms of prime competition, the 2017 Audi Q7 is 4.8 inches longer than the XC90, 1.6 inches narrower, and more than an inch lower. Behind the third row, the Volvo offers 7% more cargo space. Compared with its predecessor, the second-generation Volvo XC90 is 5.5 inches longer, 2.9 inches wider, and a few hairs lower. That extra size pays dividends inside. The new XC90 offers 3% more passenger volume and 80% more space behind the third row for groceries. From a style standpoint, Volvo clearly nailed the XC90’s interior. 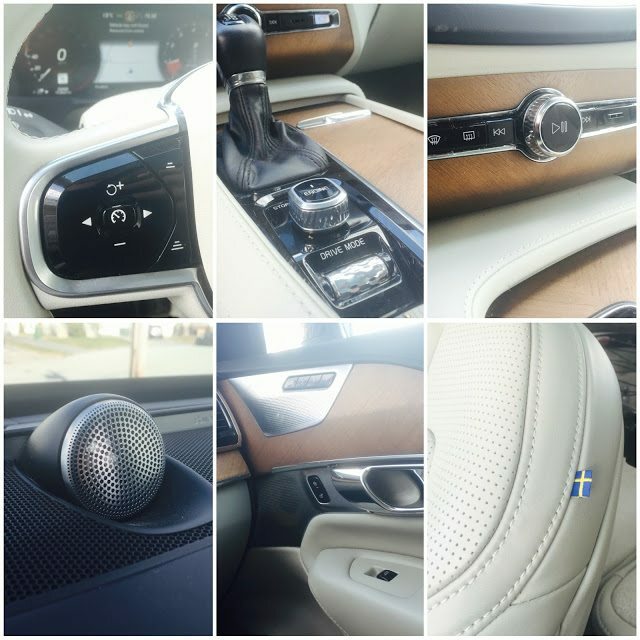 A mix of attractive wood grains, minimalist surfaces, high-quality buttons and switches and knobs, and big windows letting in lots of light make the 2016 XC90’s cabin decidedly Swedish: contemporary and comfortable. Set to Gothenburg Concert Hall (instead of Studio or Individual Stage), the optional $3250 Bowers & Wilkins sound system would be a hard item on the options sheet to avoid. It’s controlled through a large, vertically oriented touchscreen which impresses with simple displays and speedy operation, but the scarcity of non-touchscreen controls does require too many deep dives into the touchscreen system, which pulls your eyes away from the road. The XC90’s front seats, adjustable in this Inscription model with an extendable cushion, four-way lumbar, and adjustable side bolsters, are the best in the business. Second row legroom could be better, but third row access is decent and space in the way back is acceptable for people who are aren’t 5’11” tall. The sense of solidity extends beyond the wiper stalk and audio controls to the structure as a whole, at least until the road gets rough and the Inscription’s optional 21-inch wheels and low-profile rubber let the XC90 down. A prototypically firm European ride would be appropriate, but choppy ride quality, mixed with too much wind noise and winter tire roar, act against the classy and luxuriously equipped interior to bring into question the degree to which the XC90 can compete at the $80K price point. 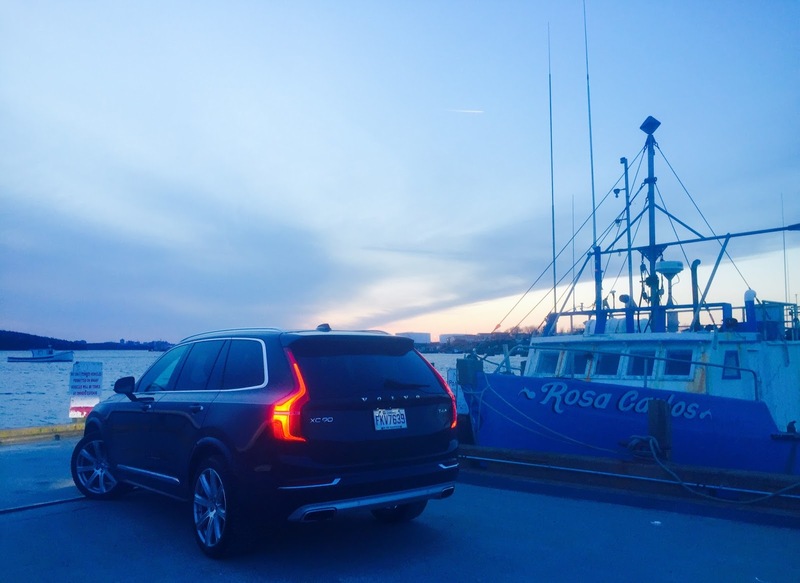 Dynamically, however, the XC90 is a more pleasing experience outside of Volvo’s Dynamic mode. In Eco, throttle response is much too tepid, but Comfort mode improves upon Dynamic with lighter steering feel and a throttle pedal that isn’t so excitable. The XC90 isn’t slow, mind you, but at no point does it feel powerful enough to justify such a lofty price tag. The 2.0L four-cylinder works well with an 8-speed automatic to create a refined accelerative experience, but an engine with 350 lb-ft of torque (or more) would be better suited to a 4400-pound, $76,890 luxury SUV. Volvo also needs to improve the auto stop/start system, which is a moment too slow to ignite and is much too conspicuous in operation. As for the U in SUV, the XC90 is every inch a Volvo. 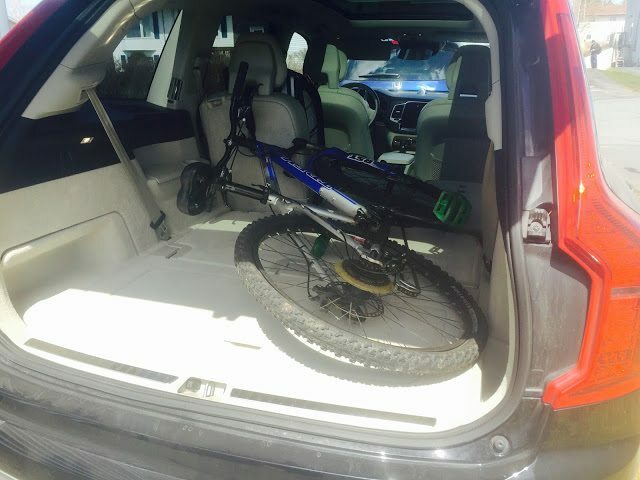 More spacious than the last XC90, the 2016 model is also more thoughtful. There are anchors tucked away just about everywhere in the latter two rows in order for different XC90-specific cargo barriers to be installed. The cargo area is nicely squared off and impeccably finished with a low load height. A built-in booster seat in the middle of the second row is so obvious, one wonders why it’s not more common. One also wonders at the choice of cream leather with pale carpeting in a vehicle intended for use by families. Presumably even well-off families wear jeans (which have long since altered the colour of this high-mileage XC90’s side bolsters) and muddy their shoes. If this is what 22,000 kilometres in the life of a press vehicle does to the XC90’s light-toned interior, I’d hate to see the impact of 40,000 kilometres with a young family. In Canada, XC90 sales climbed to a monthly record of 391 units in March 2016. 1553 new XC90s have been sold in Canada since last May. Volvo Canada’s annual record of 2767 XC90 sales in 2007 is likely to fall in 2016 as Volvo Canada relies heavily on the XC90 for the bulk of its sales. Year-to-date, the XC90 is Canada’s 60th-best-selling utility vehicle, ahead of the Chevrolet Traverse and Infiniti QX50; behind the Buick Encore and Chevrolet Tahoe. South of the border, sales of the XC90 have increased in 11 consecutive months, and U.S. XC90 volume climbed to 3000 units in March for just the second time in 99 months. Nearly half the Volvos sold in America so far this year have been XC90s. Through the first-quarter of 2016, the XC90 is America’s 53rd-best-selling SUV/crossover; 13th among premium nameplates. SHOULD I BUY SOMETHING ELSE INSTEAD? But if you must consider alternatives, the new Audi Q7 is considered the better-driving family crossover, but the Audi isn’t all that pleasant to look at. The BMW X5 is an obvious choice, but the interior doesn’t seem nearly as premium as the Volvo’s. The Land Rover Range Rover Sport is a handsome and pleasing device, but the third row isn’t useful. Full-size SUVs from Mercedes-Benz (GL-Class), Cadillac (Escalade), and Infiniti (QX80) aren’t as city-friendly as the Volvo. 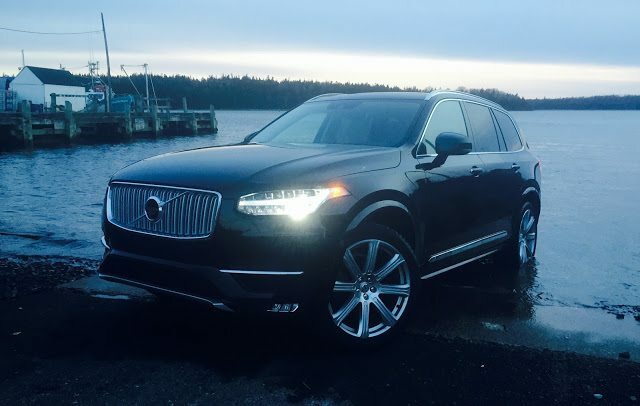 The entry-level 2016 Volvo XC90 T6 AWD is stunning inside and out. With a few choice selections, it’s all the luxury SUV you need, and it’ll look the part without our Inscription’s optional ride-ruining 21-inch wheels, pricey paint, and rapidly ageing cream leather. We’d add the $2300 Climate Package with Graphical Head-Up Display and the $2600 Momentum Plus Package (12-inch Driver Display, LED lighting with auto-bending, and some other goodies) for an Ice White XC90 with Charcoal Leather at $68,115. We’re not blind to the 2016 Volvo XC90’s imperfections, but we are enamoured with its visually stunning, hugely flexible, and spectacularly comfortable interior. Besides, most of its imperfections are minor, from a touchscreen that sometimes needs to much attention from the driver to complete a task to the absence of power-folding rear seats or a power tilt/telescoping wheel, and throttle response that’s lazy in Eco and Comfort modes but much too aggressive in Dynamic mode. There are competitors which do certain things better. The 2016 Volvo XC90 does not, however, have any competitors which do this many things this well, while also looking this good. 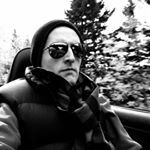 Timothy Cain is the founder of GoodCarBadCar.net, which obsesses over the free and frequent publication of U.S. and Canadian auto sales figures. Follow on Twitter @goodcarbadcar and on Facebook. The XC90 was supplied by Volvo Canada’s press office.